Now that was Virginia basketball. 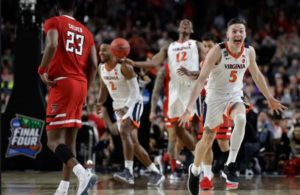 After the program had become synonymous (especially among casual fans) with stunning NCAA Tournament heartbreak, Virginia reminded the rest of the nation why it had been a No. 1 seed in the first place in four of the past five years. 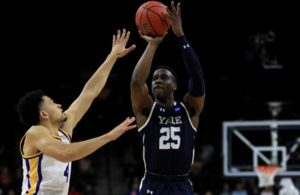 The Cavaliers regained their identity, and found the grind-it-out, “This is Sparta”-like defense and clinical offense in a dominant 63-51 triumph over Oklahoma in the second round of the tournament on Sunday. UVA looked nervous, uncertain and incapable in their all-time upset loss to UMBC in last year’s first round, and they had trouble getting rid of the jitters again in Friday’s first round game against fellow 16-seed Gardner Webb. On Sunday though, they put together a thoughtful, deliberate and composed effort in dispatching OU. 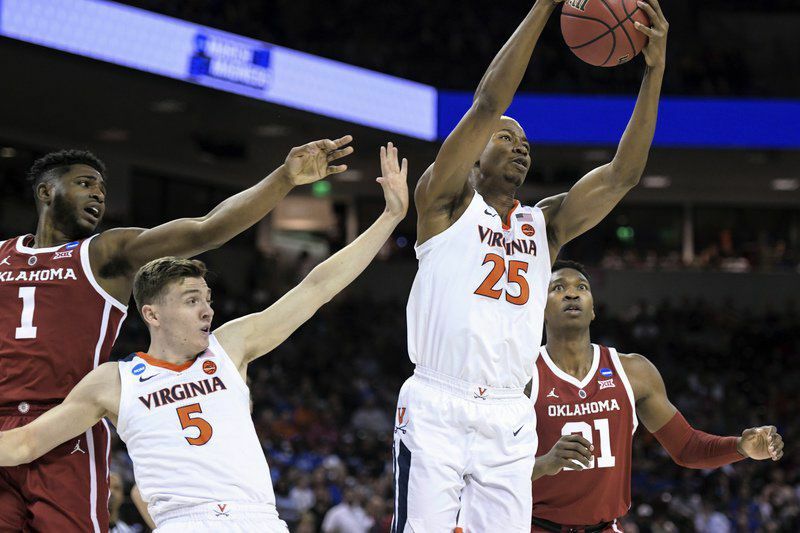 Virginia executed exactly the way it had all season long, and this game looked no different than the business-like wins the Cavaliers racked up in November, December, January and February. 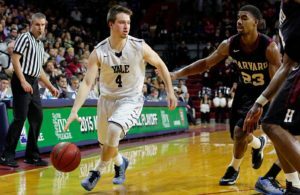 It was like game 8 of the ACC season, not a win-or-go-home NCAA Tournament game. The Cavaliers didn’t get much from sharpshooter Kyle Guy, who went 2-for-15 from the field and 0-for-10 from three point range, but it didn’t matter. Mamadi Diakite picked up the slack inside, scoring 14 points and grabbing 9 boards, and the Cavs spread the wealth and knocked down some timely three-pointers, as is their clinical wont. Like most UVA games, this one was won on defense, anyway. Oklahoma blitzed Ole Miss in its first-round game, pouring in 95 points and shooting 57% from the field, but the Sooners couldn’t find any daylight against the Cavs, mustering just 22 first-half points and 51 total. They shot 36% on the night. The Sooners might have had more of a shot had they been able to get out and run, and not allow UVA to set up its suffocating, vice-grip defense, but that never happened. Virginia will now face 12th-seeded Oregon in the Sweet 16. If the Cavs can continue to impose their unique will on teams as the pressure of the tournament continues to heat up, they’ll have a real chance at advancing to the Final Four for the first time since 1984. If it happens just one year after their historic upset loss, and after years of heartbreak as big favorites, that would say something about the character of Tony Bennett’s teams, and this group in particular.